Introducing a new category to my blog, 'Weekend Styling', where I coordinate my own personal styles. First up is a very casual outfit. Nothing feels more comfortable than a white tee and some denim. 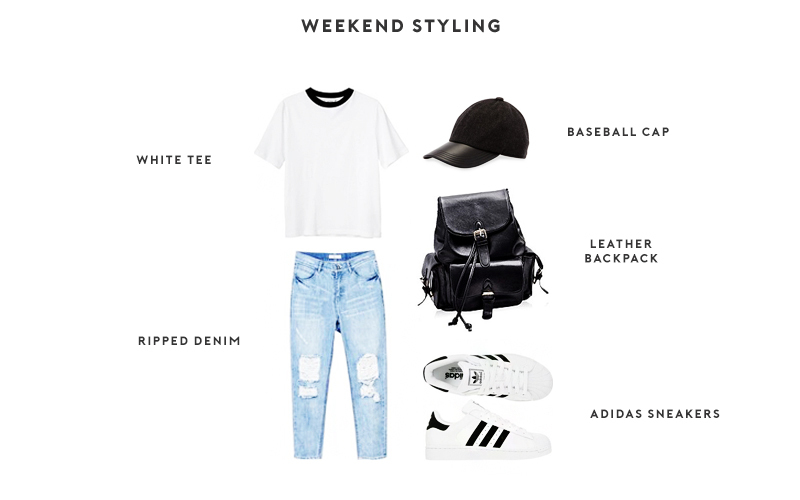 Style it up with a leather backpack, white sneakers, baseball cap and voila! You have the perfect casual outfit. I love hats in general and have quite a vast collection of it in my wardrobe. It's a great accessory to complete a street-wear outfit. What are some of your favourite items to wear?